I consider myself a bit of media junkie . . . but then again, aren’t we all? So I thought it might be fun to share some of my recent favorites, and of course, ask you to share some of yours. Yes? 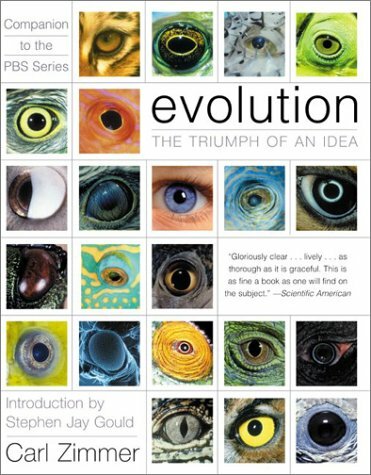 I recently began working on a master’s degree in evolutionary biology, which means I spend a lot of time reading primary literature. And . . . it’s dry. My dream, now, is to be a science writer. Did you know that? Dreams always seem to sweep out and away from us, and then somehow to circle back. Or, at least mine always seem to do that. Like this one did, and I find myself just where I was 6 years ago, dreaming of writing popular science. Of taking those stodgy, sterile scientific papers and breaking them down, synthesizing them, so that this fantastical, magical world of science feels approachable for anyone and everyone. But in order to be a brilliant science writer, you first have to read the brilliant science writers. I first fell in love with Zimmer as an undergrad, during the summer between my transfer from community college to university. I read his breakout book, Parasite Rex, because I was going to be working in a parasitology lab at the university, and focusing my studies on parasitology. Not only was the book an awesome introduction to the the truly incredible world of parasites, but an entire chapter actually profiles the lab where I worked! Which was super cool. So that’s when I fell in love with Zimmer, but my deep and undying devotion was truly sealed once I discovered that he was the curator of the online “Gallery Of Science Tattoos”. Coolest dude ever, right?! The gallery is now defunct, but you can catch some highlights, here, if you’re interested. And these days, I’m reading Zimmer’s popular science take on my current subject of study. Ive only just begun it, but so far Evolution: The Triumph Of An Idea is absolutely delicious, with all the usual wit and charisma that Zimmer brings to his work. If you’re looking for something that’s cerebral, but with charm, Evolution definitely has that delightful je ne sais quoi that transforms typical science writing into scientific poetry. Or, you know, go straight to Parasite Rex and prepare to have your mind completely blown! My god, this movie just so completely surpassed my expectations. 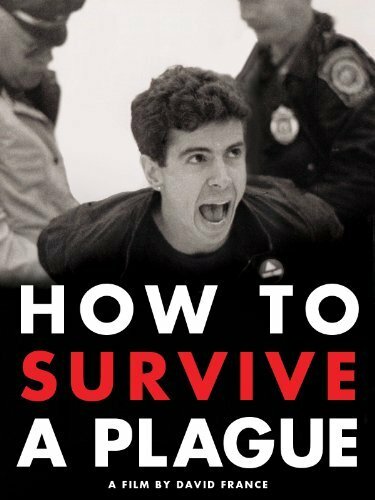 This independent documentary, by filmmaker David France, chronicles the work of radical activists at the onset of the AIDS epidemic in the 80s and into the 90s. And honestly? This is one of the most inspiring, empowering, and deeply moving films I have ever seen in my life. The things that these brave men and women did were absolutely incredible, and demonstrate what power the people can have when they’re willing to put it all on the line. I lived through this, I actually lived in the Bay Area when all this was happening, but I was too young and I just had no idea. And now, I’m so grateful that this story is being told, and so beautifully. I watched this film with tears streaming down my face, with my mind racing. My heart was broken and also full of hope. Because what they did? It changed the world. If the vegans and health/food activists of today could unite and mobilize with the same passion and power as the radical queer activist of ACT UP in the 1980s, the world might be a very different place. Those men and women quit their jobs, gave up everything, devoted their entire lives, and didn’t let ANYTHING stop them. They became their own experts, their own media, their own scientists, and they made themselves heard everywhere by being loud, being brave, and being willing to lose it all. They got arrested and they got in trouble. If you’re an activist of any type, whether it be in the streets or just in your heart, please watch this movie. You won’t be disappointed. It’s available on Netflix and also free on YouTube. You can visit the website for the film, here. Citizen Radio is basically everything that I’ve ever wanted. Ever. Please listen, please share, and please support independent media! I signed up to be a sponsor and I’m thrilled to throw them what little support I can. You can listen for free on iTunes or your pod-catcher of choice, or on their website. Alright guys, I showed you mine, now please, please, I would LOVE to see yours! Let me know what you’re Reading // Watching // Listening to in the comments below. It could be anything – wherever your interests lie. We’re an eclectic community, which is what makes us so awesome! So let us have it. Wow, guess we got our answer and you’re not going with Colgate after all. The best to you…but be real with us…money must be coming in from somewhere. looking for some new reads about vegan nutrition, anyone have any recommendations? I was thinking “Main Street Vegan”, but will that be boring for someone who is already well-versed(ish) in veganism? Or still worth a read? Citizen Radio is the best. I also enjoy and learn a whole lot from the ladies at the Our Hen House, an animal rights podcast. If you feel like I’m not being real or something, I’d be more than happy to clear up any confusion. Just let me know what you’re upset about, k? Those all sound awesome! Whatever is The Elegance of the Hedgehog?? Sounds awesome. And that show sounds great as well, does iit get into the sociopolitical elements? Main Street Vegan is great, and I’m sure would offer you lots of insight and of course, Victoria is always full of inspiration and ideas to light your fire. She is a really fantastic writer. I like Vegan For Her by Ginny Messina and JL Fields – they take a practical, realistic, science-based approach to nutrition. Nothing too “hippy” or out there, which can be a nice counterbalance to a lot of the more fragmented “theories” that you find about nutrition online. I’ll have to check out Citizen Radio. It sounds interesting. As for me… Watching: Cosmos and old X-Files episodes… yes, I’m a total nerd and proud of it! Plus, David Duchovny is, was, will always be HOT. Cosmos is so beautifully done, and who doesn’t love Neil? Plus, it’s fun to see the “extreme-right” try to disprove the science on Facebook. Reading: All of the kid books that my daughter received for her first birthday Sunday. V is for Vegan is my favorite! Ruby Roth “liked” one of my Instagram pics recently, and I almost fainted. She’s brilliant. I think I need to invest in some more adult vegan reading, though. Too much baby stuff has me humming the Elmo’s World theme all day. Yikes. Listening: My Stitcher list is a mile long, but mostly Juicing Radio, Our Hen House, Main Street Vegan, Ben Greenfield Fitness, StarTalk Radio, This American Life, and (right in line with my X-Files kick) Mysterious Universe and Darkness Radio. Mysterious Universe is hilarious. They tend to take a skeptic’s view of all things paranormal. Truly entertaining. Reading: Ender’s Game by Orson Scott Card. I saw the movie with my hubby, who loves the books, and I’m finally getting around to reading it. It is really hard to put down! I’m already halfway done and I just started it last Friday. They did a good adaptation for the movie, but the book is better (as always!). Watching: A lot. Every week I have my DVR set to record: Switched at Birth, …I almost typed How I Met Your Mother but remembered it’s done now :(, RuPaul’s Drag Race, FaceOff, Jim Henson’s Creature Shop, The Blacklist, Marvel’s Agents of S.H.I.E.L.D., The Big Bang Theory, and I think that’s it. And of course, a healthy sprinkling of ASL videos on YouTube. Listening to: my Favorites list on my iPod. It’s a mix of rock, comedy, folk, filk, jazz, and opera. It’s amazing how it really helps me focus at work and keeps my mood positive. My husband’s enthusiasm for all things Orson Scott Card led me to reading Ender’s Game before we saw the movie, and I loved both but OH! the book is so good. 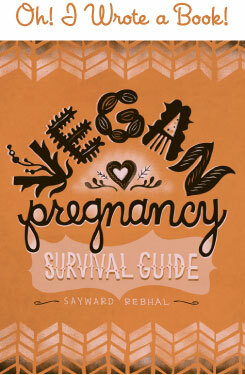 I really like Vegan for Life and Vegan for Her, for the reasons Sayward mentioned below. Oooh, when you have downtime between semesters you should check out Elegance of the Hedgehog, it’s really good! Reading: The Daughter of Smoke and Bone trilogy by Laini Taylor, and Change of Heart: What Psychology Can Teach Us About Spreading Social Change by Nick Cooney. Watching: More TV than film, which is not the norm for me! West Wing, The Killing, American Horror Story: Murder House (for the second time), House of Cards with my husband. Gilmore Girls and Top Chef with Nina. Listening to: Right now my Stitcher feed is full of food and film podcasts. Oh you know, I think I heard a discussion of Treme on NPR! I’ll definitely try and check it out. And the book sounds awesome – thanks so much for sharing! Reading: Roger Fouts’s Next of Kin: My Conversations with Chimpanzees. A beautiful and moving story about Roger Fouts teaching chimps how to sign while learning about their humanity. Definitely a vegan-must-read. Listening: Radiolab! You introduced me to Radiolab and now I’m addicted. I listen to them while I’m training for a marathon and I’m so engrossed that I hardly notice the miles I’m logging at all! Watching Call the Midwife on PBS. Set in the late 50s. The third season just started. Oh give me a break. Have you heard of student loans? Child support? Ugh. Reading: Scarlett Thomas novels. I’m on my fourth book of hers, and as a slightly alt, anti-capitalist, thirtysomething woman, I’ve never felt so strongly connected to an author. Listening: The Hitchhiker’s Guide to the Galaxy audiobook. One of my all-time favourite books, narrated by the lovely voice of Stephen Fry. Also, Oskar Schuster, a German composer and pianist who makes such beautiful, delicate music. Perfect background music for reading! Listening: Our Hen House. Can’t get enough of them! YES for making science accessible to the masses! like politics, i feel that science gets “spun” so often to emphasize and sensationalize based on the presenter’s agenda. and it’s so unfortunate, because science is supposed to be the truth, it is supposed to be transparent, and it’s meant to elucidate, not obfuscate. and, as you allude, i think it’s interesting that when people do read “distilled” science (like ny times science columns or something), there’s not always a clear connection to the primary literature, and there’s very little explanation of how scientific publishing works. first, normal (“dry”) articles are replete with references and citations, and everything is substantiated by data. and second, the process of peer review is incredibly rigorous. your manuscripts are reviewed and ripped apart before they get published. these two things set science articles apart from most of what we read online – opinions. not science, not evidence, but opinions. anyways, i’m sure you’re aware of all this good stuff. think you’ll be great! ok – reading: o’reilly (no, not bill) guides to programming in R.
watching – the road in front of my bike wheel. browsing – ikea catalogs for upcoming kitchen remodel. listening – kexp and npr. conveniently, the only two stations my radio catches. no joke. i like radio lab, but sheeyat, will they please stop interrupting each other??? I’ve already commented on this, but does anyone listen to Big Fat Vegan podcast? I am just listening to the Daiya episode for the first time, and it’s coming off as slightly condescending, so just wondering for another’s opinions! For kid-friendly programming, I love love love the Magic School Bus! Maybe a little too old for your wee one, but it’s super fun and a great introduction to science. Definitely something to look forward to! Reading: The Elementals by Francesca Lia Block. It’s good, though it doesn’t capture the magic of her earlier work. You would like Primavera. It’s a future fantasy world and there is a part where the main character encounters these troll like characters who are factory farming and it is intense. Watching: Happy, the documentary. Also Doctor Who. LIstening: My LIfe in France on audiotape. Reading: Women Who Run With the Wolves: Myths and stories of the wild woman archetype by Clarissa Pinkola Estes, Ph.D. Listening: Podcast addict here. I love Our Hen House, Radiolab, This American Life, Strangers, Up for a Chat, Audio Dharma, Snap Judgement, On Being, Freakonomics… Lately I just use Songza for my music. Playlists for every mood. I love that you’re a citizen radio maniac! Reading: Super Immunity by Dr. Joel Fuhrman – I am starting to focus more on nutrition and this book has some really interesting information. Watching: vlogbrothers. They are brothers that correspond to each other through videos. Following a video letter format, they discuss with their sibling and the audience what ever has been on their mind. Topics range from mass incarceration in the us to random thoughts while traveling. I find them funny, smart, and interesting. Listening: Welcome to Nightvale. It is the hardest podcast to describe but it is outrageous and creepy in the best ways. Definitely watch the old Carl Sagan. There is just enough [vegan]cheese to giggle, and so much earnestness and beauty to marvel at. It’s basic enough to be perfect for youngish kids to comprehend, without being patronizing or troublingly metaphorical. I wish someone would do a pop up video version that adds info about things that have since been discovered or clarified. And maybe a few behind the scenes tidbits, such as whose idea the carpeted spaceship was. On the topic of science for kids (not that we were on that subject, but still) the children’s book Earth Story by Eric Madden tells the story of the big bang and eventual beginning of Earth with beautiful art and text aimed toward the wee crowd. It’s beautiful, lyrical, and educational all in one.